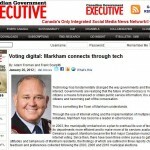 Could Internet Voting Impact Voter Turnout in Ontario? 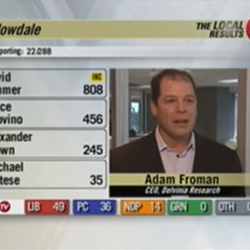 For the election night coverage on Rogers TV Toronto, Goldhawk Live producer Dave Bradshaw interviewed Delvinia CEO Adam Froman for a segment about Internet voting and voter turnout. 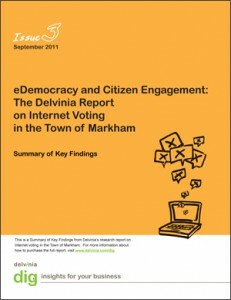 Speaking in reference to Delvinia's recent DIG report on eDemocracy and citizen engagement in the Town of Markham, … [Read more...] about Could Internet Voting Impact Voter Turnout in Ontario? Delvinia’s Internet Voting Report Gets Radio Play in B.C. Delvinia's DIG report on eDemocracy and Citizen Engagement got some airtime on a radio station in Victoria, B.C. this week. 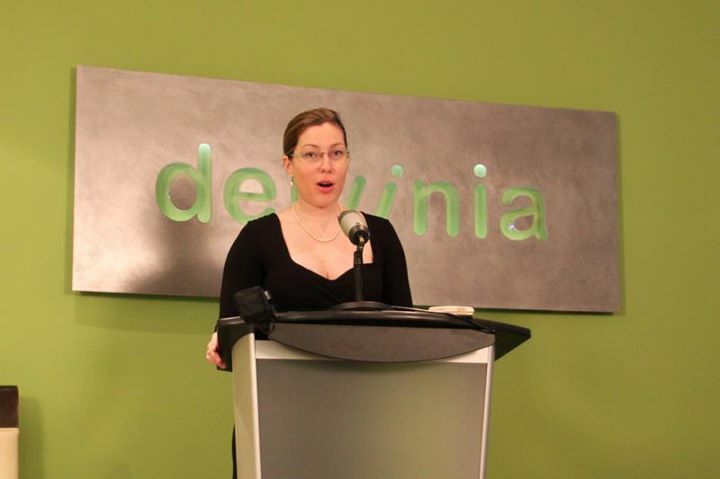 On Thursday, Nicole Goodman, a PhD candidate specializing in Canadian political institutions and alternative voting methods and the principal author of the report, spoke to … [Read more...] about Delvinia’s Internet Voting Report Gets Radio Play in B.C.